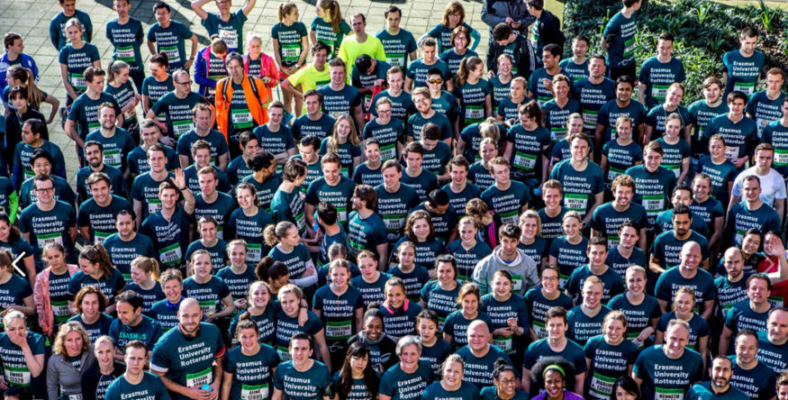 On Sunday, 8 April in 2018, the Erasmus University Rotterdam will organise the Erasmus Charity Run again. The university will take part in the Rotterdam Marathon (10,5 km and 42,195 km) with 530 students, staff and alumni to raise money for the Erasmus Scholarship Fund. It is a chance to challenge yourself and to experience the biggest one-day sporting event in the Netherlands with the stunning backdrop of Rotterdam’s City Center. You will be cheered on by an enthusiastic crowd from start to finish; an experience you will foster your whole life! You can sign up with a discount rate. You will be given an Erasmus Charity Run sport shirt. You can store your valuables before the run at the Erasmus University College. We hope to see you all on Sunday, 8 April in 2018!